Today’s marketplace seems to be a constant stream of new. New devices, new gadgets and new technology improve the way we live. Now an exciting new development in labs across the US is the transmission of data, and it’s coming from LED lighting. Many people are eagerly awaiting Li-Fi (or light based Wi-Fi), and while its still experimental technology, it has been proven to transmit data 100 times faster than Wi-Fi, which is roughly 90,000 megabytes per second! Researchers and engineers are working on utilizing visible and infrared light to transmit data through quick and low-intensity light pulses, rather than radio waves— like morse code, but happening so fast its imperceptible by the human eye. 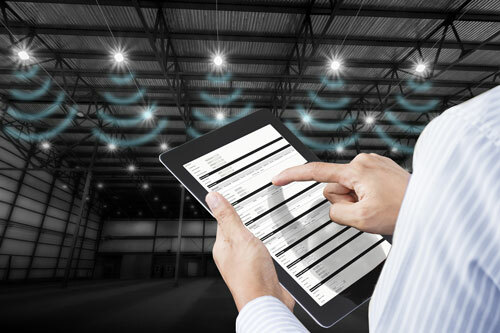 One of the major advantages to Li-Fi is that it can be built into LED fixtures, consolidating wireless networks and lighting into a single system. Li-Fi, and its counterpart Visible Light Communication (VLC), enable two-way communication between any LED devices that are equipped with an optical sensor. VLC technology actually dates back to 1880 when Alexander Graham Bell invented the photophone, which transmitted speech over seven hundred feet with simple sunlight. Unfortunately, the practical use of sunlight is fundamentally flawed since the sun doesn’t shine 24/7. Future adoption of Li-Fi could allow LED lighting systems to become the standard of IoT due to ubiquitous outdoor lighting. Some LED products can also be powered through Ethernet cable (POE), which would allow lighting and networking to merge. Deploying these integrated systems would create significant savings in new construction. We can’t forget to mention that Li-Fi has promising applications for the indoor world as well. For example, shopping mall customers could automatically connect their smart phones to find specific store discounts. Similarly, stores could push promotions to the customer knowing they’re already near their location. VLC can also be used to increase the security of data, since it requires the direct line of sight between the LED fixture(s) and the machine(s) utilizing the connection, making it virtually impossible for hackers to break into a VLC network from outside the containing walls. It would also be highly useful in applications that employ sensitive equipment because interference can be eliminated due again to the fact that the system is operating on light pulses rather than radio waves. While Li-Fi and VLC are not currently available outside of the lab, it will be exciting to see how scientists will revolutionize communication technology as we know it.